Users can export individual tiles from a raster or grid layer. Note that this will be the original tile imported to the site by the publisher; for this reason, it can only be downloaded in its original projection. 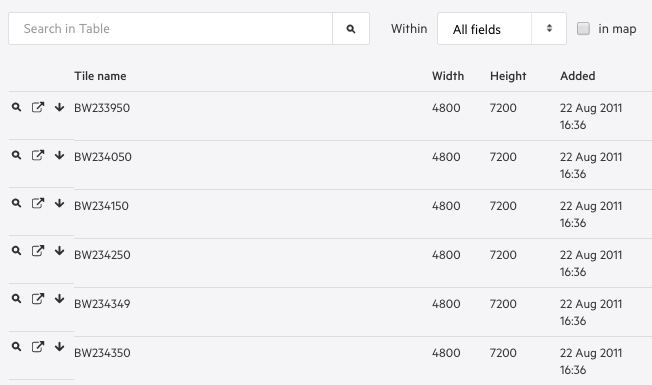 You can do so by clicking on the title or thumbnail of the data layer. 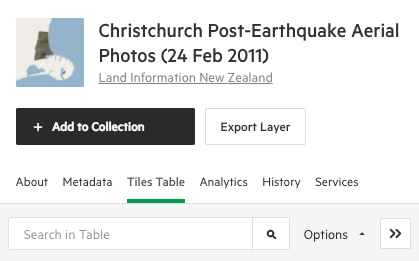 Use the search bar at the top of the table to find the tile you wish to download. If you are unsure of which tile to download, consult the Index Tiles layer. This will give you the name of each individual tile, which you can then use to search the Tiles Table for your chosen tile.